AS DEADLINE DRAWS NEAR, SUPPORTERS OF SECOND AMENDMENT DEMAND U.S. SENATE VOTE ON NATIONAL CONCEALED HANDGUN CARRY RECIPROCITY. You Are Here:The Arbalest Quarrel Article 2nd Amendment AS DEADLINE DRAWS NEAR, SUPPORTERS OF SECOND AMENDMENT DEMAND U.S. SENATE VOTE ON NATIONAL CONCEALED HANDGUN CARRY RECIPROCITY. THE U.S. SENATE MUST ACT NOW! We have two weeks left before the Senate adjourns for the Christmas Holiday. If the Senate fails to act on national concealed handgun carry reciprocity within the next two weeks, any chance that this measure will be taken up anew and that it will become a reality when the House of Representatives seats a Democratic Party majority in 2019 will be virtually nil. The Senate Judiciary Committee has been sitting on the bill that was sent to Senate Majority leader Mitch McConnell, last December 2017, when it passed the Republican controlled House. The version of national concealed handgun carry reciprocity that passed the House is designated, 115 H.R. 38, “Concealed Carry Reciprocity Act of 2017.” Once Senator McConnell received it, he sent it immediately to the Chairman of the Judiciary Committee, Charles Grassley, for action. Clearly, no work was done on it; and a year has gone by since the Judiciary Committee had received it. It is imperative we get the House version of the bill onto the Floor of the Senate for immediate roll-call vote. THIS MATTER REQUIRES THE CONCERTED EFFORT OF EACH OF US. The Arbalest Quarrel has been on the forefront of National Concealed Carry Reciprocity. We have written numerous articles on this subject. Interested readers are encouraged to read our articles by visiting our website. Our articles have also been published by Ammoland Shooting Sports News See our article, “National ‘Right To Carry’ For Self-Defense Needs Your Help – Take Action.” And, we have recently posted our article on the website, The Truth About Guns. As a regular guest on “LockNLoadRadio,” hosted by Bill Frady, we have discussed the issue of national right to carry, at length. We have been getting positive responses to our articles. Many pro-Second Amendment groups, organizations, radio, respected news sources and social media, have joined us to mount a grassroots effort to strengthen our sacred Second Amendment right. We know that, as you have gotten the message, you are doing your part to get the Senate to move on national concealed handgun carry reciprocity. Once the Senate passes the bill, it will be sent directly and immediately to the President for his signature. And, have no doubt about this, President Trump will sign it. He has made very clear both during his campaign for the Republican Party nomination and during his successful run against the Democratic Party nominee, Hillary Clinton, that he avidly supports the natural, fundamental, unalienable right of the people to keep and bear arms. It is time to urge Congress to act to strengthen our natural rights and liberties, not weaken them. We must have national concealed handgun carry reciprocity enacted into law now. For those of you who have not added your voice to this critical effort, there is still time. Senator McConnell may be reached at 202/ 224-2541, but he does not provide a personal response and he will not take messages at this time. However, there is a referral to Senator McConnell’s on-line email. Senator Grassley can be reached at: 202/ 224-3744. The Senator provides a personal response to your message and your message will be relayed directly to the Senator. Your Senate Delegation can be reached at: 202/ 224-3121. The switchboard will provide you the phone numbers for the Senators of your State. You can reach the White House at: 202/ 456-1414. At the prompt, you can leave a message for President Trump. 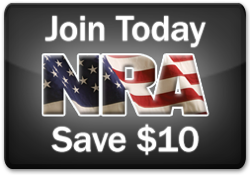 The NRA can be reached at: 800/ 392-8683. You can leave a message, but be aware there may be a lengthy wait. You can also leave a message for the nra-ila. With your active assistance, we can turn the tide and see national concealed handgun carry reciprocity a reality. Please join us in this important, timely cause. Time is of the essence. We must get the Senate to act immediately on this.